Salvia Sage for Hummingbirds. 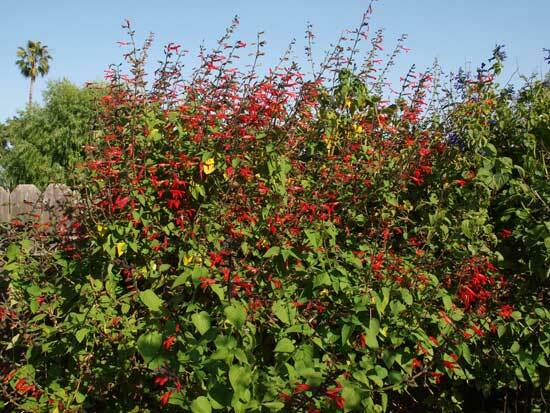 Tips how to plant Salvia for Hummingbirds. You may consider planting Salvia Sage for hummingbirds. There are both annual and perennial varieties in many colors and can be another addition to your hummingbird garden. It is the largest genus of the mint family. As there are many flowers frequented by hummingbirds, let me describe the salvia to help you decide if it is the best flower for your garden. There are more than 700 species both annual and perennial. 10 inches to 60 inches tall. The bright red salvia is best for hummingbirds but we have seen them visiting other colors often such as the purple salvia and mixed salvia. 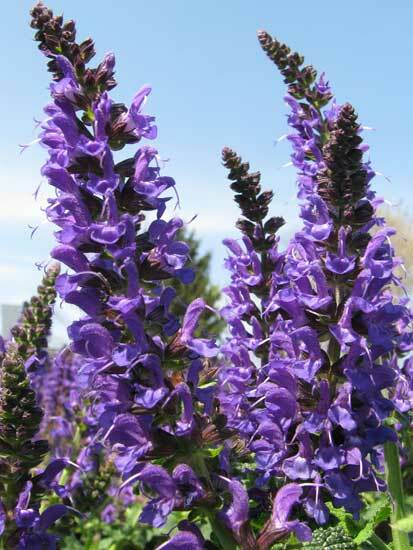 All Salvia Sage has a high nectar count needed by hummingbirds. 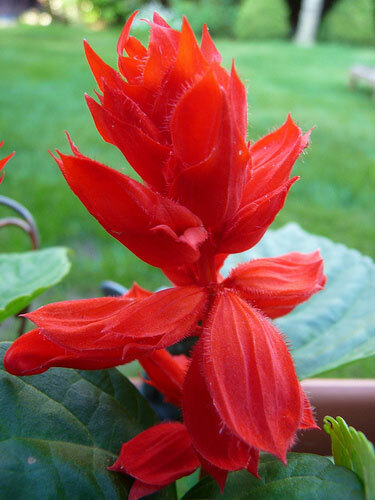 So, planting any variety of Salvia Sage for hummingbirds will supply their needed nectar. 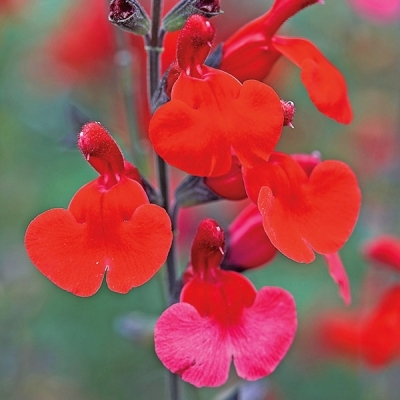 This sensational perennial is the result of crossing 2 Salvias to produce a cold hardy plant that produces lots of flowers. The strong growing plants cover themselves with brilliant red flowers throughout the summer and are a beacon for hummers and butterflies. Easy to grow in hot dry weather, and adaptable to poor sandy and clay soils. Blooms mid-summer to fall. Deer resistant. Grows 3-4' tall. Plant 24" apart. Zones 5-9. Hummingbirds do not have a sense of smell but are attracted to bright colors especially red. I chose to plant the red 10” annual as a border around my hummingbird flower garden. I don’t usually plant annuals but Salvia is one of my exceptions becoming convinced the first year. No sooner had I planted the beautiful blooms when they were almost immediately visited by my hummingbirds. Consider timing. Plant after the last frost. Consider soil requirements: Plant in well-drained soil. Add mulch or weed regularly. Think about water requirements: Keep the soil moist. Disease is generally not a problem with this plant. Consider location more carefully. Remember that the plants will return year after year. Consider that these blooms are heavy seeders. You should deadhead the plants by removing the spent flowers. This improves the appearance of your garden. It also prevents plants from spreading to other areas the following year. Another option is to divide the plants the following spring. This is a matter of choice. If you love these flowers, you might not mind having more of them. Of course, the hummingbirds won’t mind at all.